I miss the sunny blue skies of California, I am used to flying. Be it winter, spring, summer or fall, the Northeast weather is fickle. Any flying day, there is a chance of thunderstorm in the forecast or at least low ceilings and marginal weather. Long ago, during my instrument training I craved some clouds so I could get some IMC time. Nowadays, whether I want it or not, I am forced to fly in IMC weather. So I have been building, not only my confidence, but also IMC time. That I can handle. Weather tools in the cockpit, make flying through clouds so much easier. It is easy to meander around cells. Decide when it is safe to continue on and when to call it quits. The last few trips to Florida during winter and early spring, we constantly battled headwinds. Short days make it even more challenging. A six hour trip normally ends up being more than eight hours. Sometimes a second halt becomes necessary for refueling. All racing to get to the destination before dark. Typically my flight school plans a week long Oshkosh adventure: departing Sunday and arriving back on Friday. 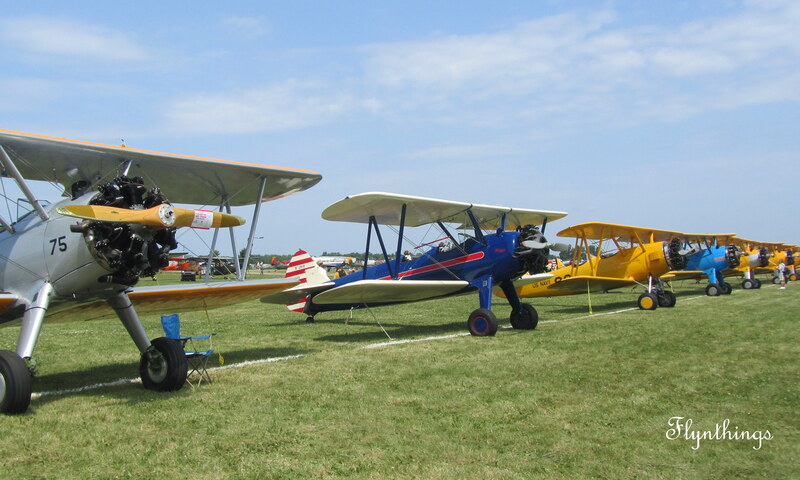 The trip includes an overnight at Dayton, OH with a visit to the Air Force Museum, an Airventure arrival and three days spent in Oshkosh, an Airventure departure to Niagara Falls with an overflight and overnight stay, followed by a Hudson river flight and triumphant return to the Mid-Atlantic. It is such a fantastic trip, that this year I was all set to do it. I had my week long vacation planned and aircraft reserved. Only, my flight school decided to take a break this year! But my heart was set on it, so I thought, how difficult can it be? I amended my plan and decided to leave out Hudson river overflight, as I have already flown it twice, but wanted to fly the rest of the route. Severe weather in the Midwest and Ohio valley, prevented us from departing on Sunday as planned. We departed early on Monday, a little later than planned but hey it is Monday after all and DC traffic is usually a mess on Mondays! It was the day for a flight at low altitudes. Stiff headwinds were the story that day. 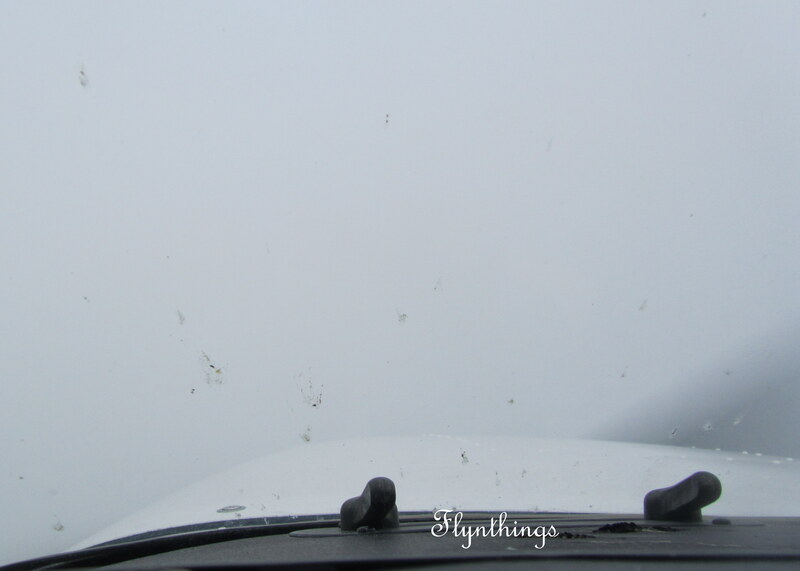 Clouds over the Shenandoah valley necessitated an IFR flight plan. And our direction of flight required a flight at 6,000ft. A stiff 45 knot headwind, meant we were clocking 65 knots of ground speed. Any more would mean we would hover where we were. I suppose we should be glad, we were not being pushed back east! At this rate we couldn’t make our destination of Moraine Airpark (I73). By the way, if you ever wish to visit the Air Force Museum in Dayton, OH, this is the place to land. The museum is just a few miles away, and the airpark loans a courtesy car over night if you let them know your intentions. I am told the museum has an excellent book store and the museum itself needs a whole day of viewing! Two hours later we departed again, still IFR, but at least with only 25 knot headwind. We made slow, but steady progress. 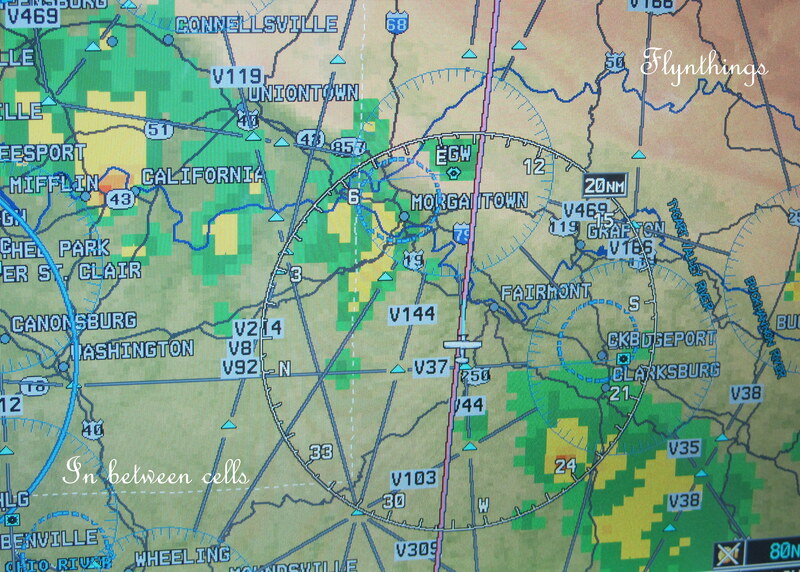 I73 is a VFR only airport and the weather being marginal, we needed to select an airport with instrument procedures. So we opted to land at Dayton Wright Brother’s airport (MGY). Two instrument approaches in one day? Well, it was that kind of a day! There was no time to visit the Air Force Museum. We had decided along the way, that we would top off fuel and keep heading northwest towards Oshkosh. Arrivals into Oshkosh during Airventure can be very tricky before and after an airshow. Having experienced a Sun ‘n Fun arrival after the airshow, I knew very well what to expect. 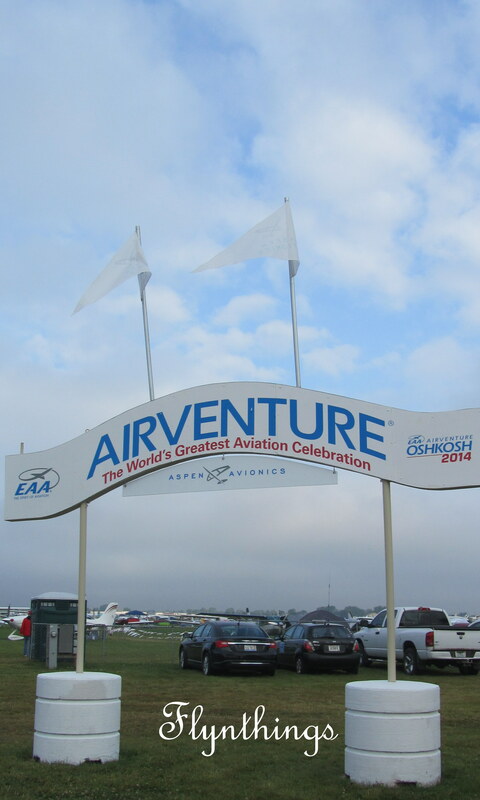 In fact, I knew it would be 10 times worse than that, since Airventure is so much bigger than Sun ‘n Fun! Fuel and a short stretch later, we departed. Long days meant we had plenty of sunlight till 9pm. Although we couldn’t keep going till then. Most FBOs close at 6:00pm. Impromptu, I had decided that Joliet, IL was roughly two hours away from MGY and we could just make it there by 6pm. I had called the FBO to let them know our plans. BTW great FBO at JOT. They were happy to wait for us, past their closing. Past Dayton, the skies were clear, although headwinds continued to haunt us. We crawled slowly, but steadily this time under VFR, and made it to JOT around 6:15pm. Not only are the staff there friendly, but also were happy to loan us the courtesy car overnight. There are several hotels/motels within walking distance as well. We spent the night at the nearby Best Western and had dinner at the nearby Shopping Mall. Tuesday dawned bright and clear. 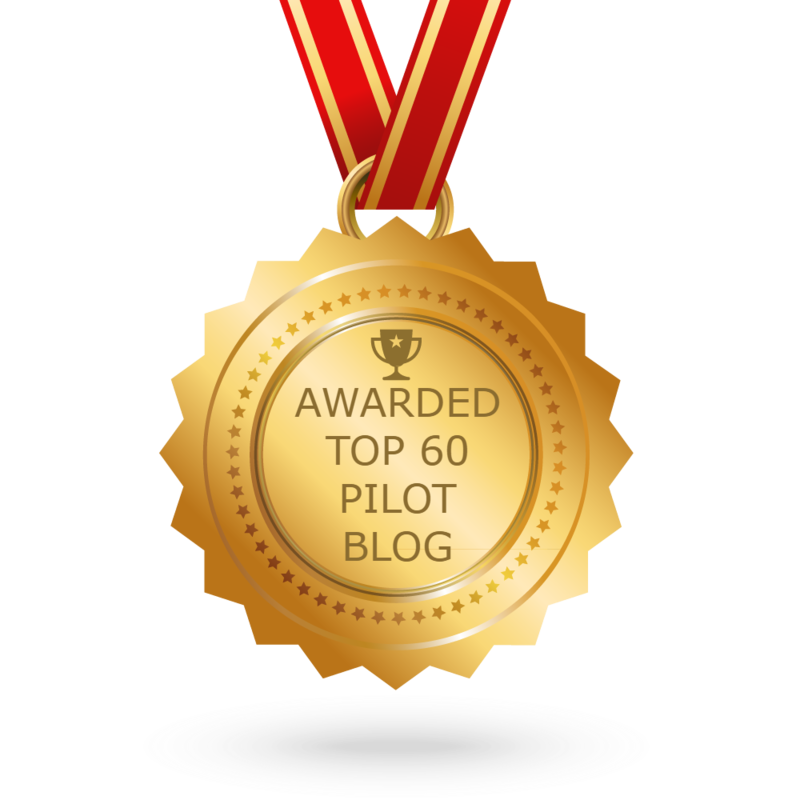 As per our request, the FBO had fueled our aircraft the first thing that morning at 7am and we departed right on cue at 7:30am and headed north. The winds were calm and the skies clear. It was going to be an easy and breezy flight up to Oshkosh. Terrain not being an issue, we flew comfortably at 2,000ft in content, reviewing Oshkosh arrival procedures along the way. There was one Class D airport along our way, that we needed a clearance to cross their airspace. Arriving at Ripon at 1,800ft and 90 knots with transponder on standby, we tracked the railroad, followed the lead aircraft and were cleared for R27 at Fisk. There was a steady flow, but nothing hectic or nerve racking. Having done this twice now, I say, if you are new to an Oshkosh arrival during Airventure, early morning before 10am is the way to go!